An iFrame embeds an HTML page into the current page. 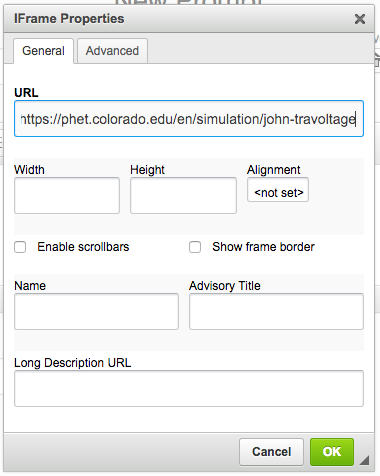 You can use this feature for many different things, such as embedding PhET simulations. Here you will learn how to add an iFrame. Paste the URL of the website you would like to embed into the text box. You can also set the Width and Height of the embedded website.